Chemical peels are a great way to rejuvenate damaged, unhealthy-looking skin by removing the damaged skin in order to initiate skin regeneration. The skilled doctors at Cosmetic Surgery Affiliates in Oklahoma City will apply a topical solution to the skin to help remove the damaged skin. When the skin is removed, it will naturally heal itself by replacing the old skin with newly, regenerated skin. Chemical peels are useful for hyperpigmentation, acne scars, as well as fine lines and wrinkles. 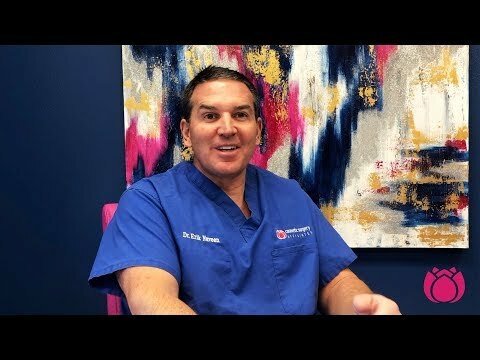 Cosmetic surgeons Dr. Erik Nuveen and Dr. Courtney Caplin offer a variety of peels like SkinMedica for light to moderate peels and the ZO Peel for moderate peels. The superficial peel is the mildest peel option that targets the upper layer of skin. Commonly, a diluted glycolic acid is used and left on the skin for several minutes. The doctor will then neutralize the acid to keep the peel at a mild level. There will be slight redness after the treatment, but typically there is no downtime compared to the other peels available. On average, patients will peel for about 3-5 days with this treatment. Patients may need several treatments to achieve the facial look they desire. On average, this is also the least expensive among chemical peel treatments. A medium chemical peel treats more than just the top layer of skin. It penetrates deeper to treat moderate to severe wrinkles and skin irregularities. The procedure uses a stronger solution in the form of Trichloreacetic Acid (TCA). The acid will be applied in a controlled condition to manage and limit penetration, and the acid will be neutralized to stop the effects of the peel up to a certain point. The recovery time following a medium peel is about 10 days and patients will need to plan ahead for a short recovery period. This peel costs more than the superficial one, but the results are a bit more dramatic. A deep chemical peel is the most aggressive approach in chemical peel treatment. It is considered a more invasive procedure and in some cases patients will need general anesthesia. The substance normally used is called phenol and it aims to treat severe skin wrinkling, deep scars and facial irregularities. Once a patient undergoes a deep peel, it is not advised to have another one. The recovery period may take up to 14 days and the area treated will be bandaged as the wounds are comparable to second-degree burns. The results following a deep peel are usually excellent. The disadvantage to this peel is that there is downtime and it costs significantly more than a mild or medium depth peel. The harsher the chemical peel, the more expensive the cost. Fees can range from $125 for mild peels to $6,000 for the deeper kind. Although the milder chemical peels cost less, the number of sessions needed to maintain results will increase the long-term price. It is best to consult with the practitioner to understand what peel will garner the best results and then decide if the price and downtime are acceptable.